2. Books at Jo Ann's. 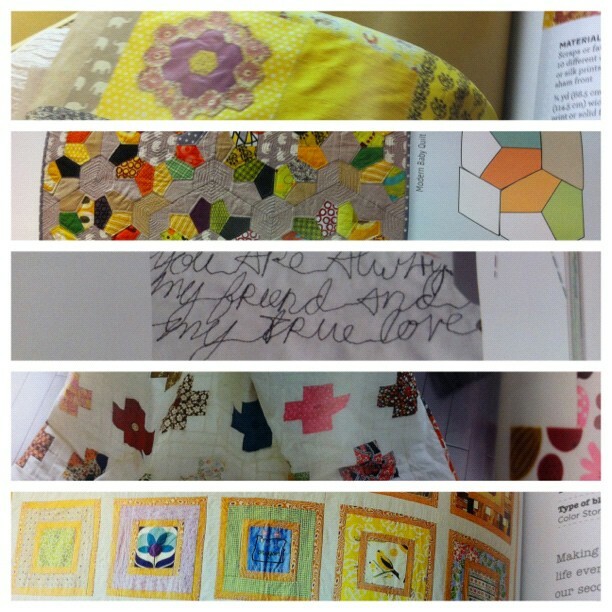 I spent my lunch break looking through quilt books + I found some great inspiration for our wedding quilt. Some I looked through: 1., 2., 3., 4. 3. These shorts. I'm so ready for summer (until it comes + then I'll be ready for fall, haha)! Everyone is saying it's going to be a long, HOT summer. 4. Pam Garrison's Instagram. It looks like she's having some kind of fun! I asked her what was in the box on the far right because they look like something I want to get my hands on. She told me they were Caran d'Ache neoart aquarelles(fat water solvable crayons[which I've used before, but I've never seen them so fat! haha]). I still can't seem to find them online :( Found them. 5. 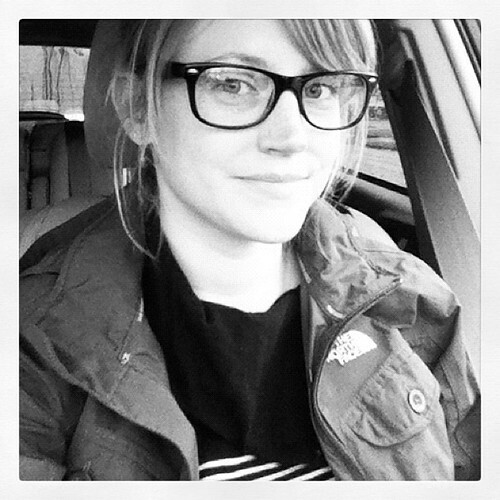 Blogs: one, two + three. Have you seen Kelly Rae's new studio? I've been enjoying seeing her fix it up via her instagram/twitter. I dream of having a really awesome studio one day. I just might HAVE to participate even thought I wasn't "tagged". I've always been a sucker for these kinds of things :) Did you? Send me your link. I'd love to see. Anything with black + white stripes, but these shoes + this dress. Thomas Campbell's studio...I mean seriously...It doesn't get any better as far as I'm concerned. Have you seen this project? It's super sweet. I love the pictures so much. I hope to have a love ever after! Jack White's new solo album "Blunderbuss" + the already released "Love Interruption". I'm pretty sure I've mentioned my love for Jack White before, but why not say how much I love him again right? Did you see him on the episodeof American Pickers? Haha. I was pretty excited about it. 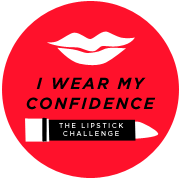 Amy Morby's self love revolution + Moorea Seal's red lipstick challenge. 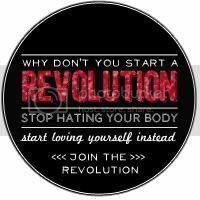 I think both are great + love the idea of fighting insecurities + celebrating confidence. Are you participating?